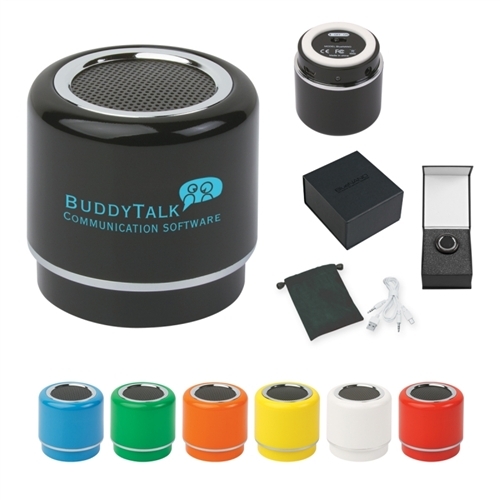 Custom High Definition Logo Printed Nano Speaker features strong stereo sound system. Promotional Nano Speaker comes with 31" Cord. Custom High Definition Logo Printed Nano Speaker is available in 7 colors: White, Black, Blue, Green, Red, Orange and Yellow.